Once again, it's thanks to Pinterest that I was able to do a fun little project with my kids. 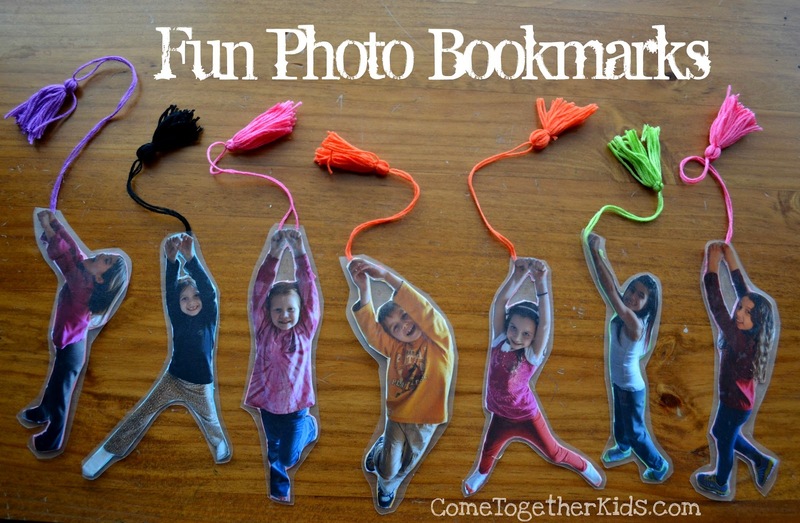 Several weeks ago, Pinterest led me to these awesome bookmarks at Creative Family Moments. So easy, so fun and so perfect for my book-loving kids. However, like so many of my pins, I had the idea there ready and waiting for the right opportunity to use it. 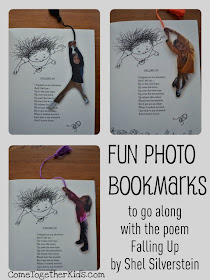 When it was my daughter's turn to host her book club and we decided to do the poems of Shel Silverstein , I remembered the bookmarks and knew they be perfect. 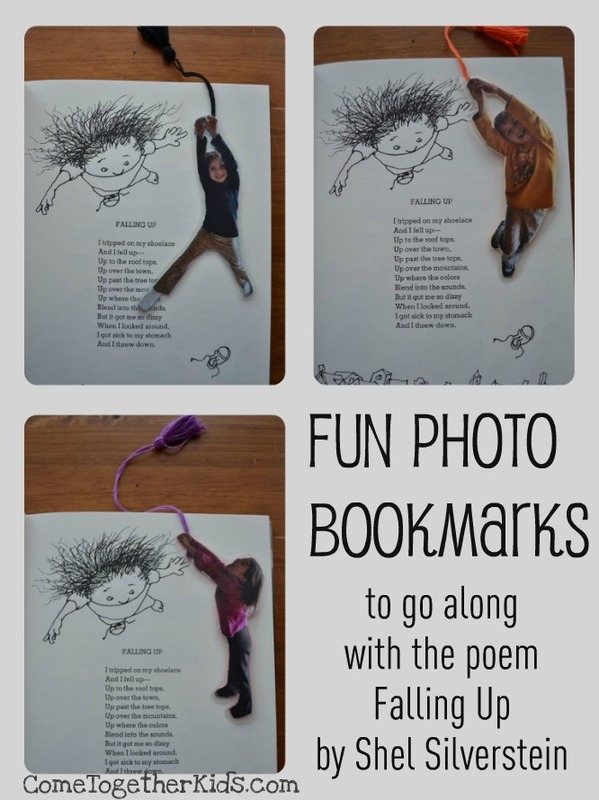 One of Silverstein's collections of poems that we read is called Falling Up ~ it goes right along with our fun bookmarks. I pretty much followed the original tutorial, with just a few small changes. 1. Take a photo of the child posing as if they're holding onto a rope and hanging down. (I had the kids stand in front of a white sheet because I thought I'd be using my computer printer and wanted to cut down on the ink used). 2. Print out your photos. I ended up finding a special on 4x6 prints at my local store, so I just did that instead of using my home printer, but either would work. 5. Next, you'll want to slip in your tassel between the photo and the cardstock backing (that's why you didn't want to glue that part down). Visit Heather's original post for a great tutorial on making the tassels. She explains it really well and has great pictures and instructions. I just tried to look at the hand position and then placed my tassel so it looks like the kids were really holding it. Then I put some glue on the cardstock and some on the photo and smushed them together. After it was good and stuck, I trimmed off the excess string on the other side. 6. Finally, I cut out a piece of contact paper to cover the back and front of the bookmark. I adhered it to both sides, smoothed it down and cut out around the bookmark, leaving about 1/8" or so around the edges. That's it! Aren't they fun? The kids love seeing themselves hanging down from the page. Oh, and if you're looking for some fun poems that the kids will love, definitely check out Shel Silverstein's collections . We have all of them and they were a big hit with the 8-9 year olds in my daughter's book club. The girls really loved the silly humor and they each had several favorite poems that they shared. This would be a great time for your Mother & Father volunteers to step up and help you. Where can I buy the tassels? This is great! Love this! My 7 year old would really enjoy this project. Terri, it did take a bit longer than I thought to cut them all out. (I originally planned to send them home with the girls that same evening, but ended up having to work on them the next day.) However, it was totally worth it. The kids love it and they're all using their bookmarks at school. Anonymous, I made the tassels using embroidery thread. Click on the links I gave to the original post because she does a great job explaining how to make one. However, you might be able to purchase them at a craft store too, I've just never looked. Yay! Yours came out so cute. So glad they worked for you! I'll have to check out that poem! These bookmarks are great! With a great book, they would make a fun grandparent's day present. I love these! What a great idea. Thanks for linking up to the Afterschool Blog Hop! What a fun idea. I'm now following you. 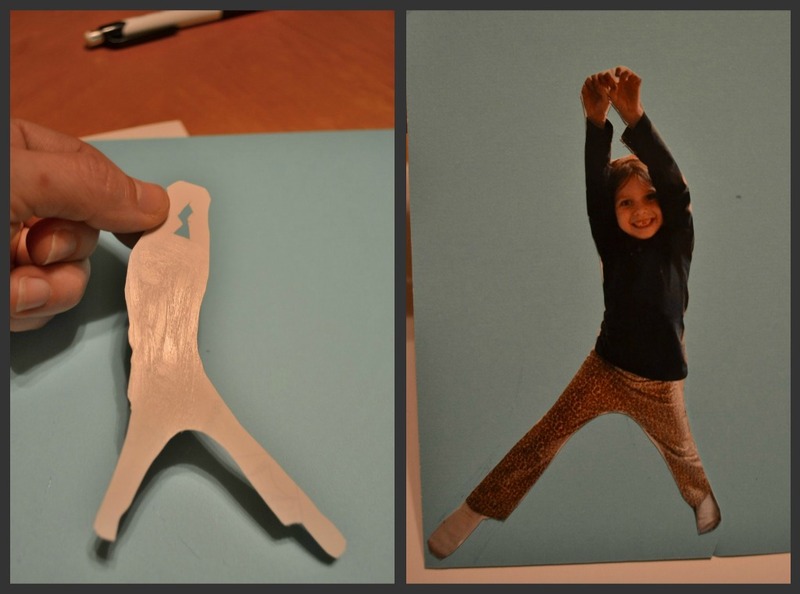 What a great idea for a craft (even though it does require quite a bit of prep :)). Thanks for linking to Afterschool. How clever! I just love this idea! I bet it would be a great gift to give a grandparent along with a book. This Grandma would love it! Great idea. Love the way you designed them for the book. Makes something boring tons of fun. thanks for sharing. I love this idea! I think I would use laminating sheets instead of contact paper, though. It's a lot "clearer," more durable (contact paper isn't permanent), and I never get air bubbles! You can buy the machine-less laminating sheets or even pouches at Target. I think it's about a dollar per pack if you get the smaller sizes. J'adore !! Très belle idée pour la fête des mères! MERCI ! i know someone who will love these! well one question how do you make the string??? Great idea for Grandparent gifts ! I just found your site through Pinterest, and I can't wait for my kids to wake up in the morning so we can get started with some of your ideas, LOL!! Thanks so much for sharing!! What a great idea. I have boxes of old family photos that never made it into albums and these would make great Christmas gifts! I really like your website and the polka dot background. I'm trying to revamp my own, and I currently use freewebs.com because....it's free. What did you use to creat yours? Where can you get these multicolored tassels. I would love to this with my after school program, but cannot find these kinds of tassels. Love think I will have some fun with the grandkids. This is a lovely idea. I wanted to make bookmarks for a child's 7th birthday craft party. Been looking for something a little different but also personalised. I have scanned and printed children's paintings and photos onto canvas bags using transfer paper which they loved. Thank you for sharing this idea. One tale with lots of cutting-edge and latest VivaVideo the search engine result. Click install switch. Looks gorgeous images, nice slider. Customers to fix issues, yet likewise to swiftly position Sumdog Tricks Trainees need to maintain the very same login information. Cool, keep sharing it. And read about Windows 7 activator. Love this tutorial. 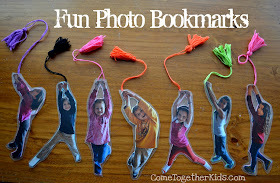 (http://www.cometogetherkids.com/2012/03/fun-photo-bookmarks.html) I printed photos, cut out the kids, them laminated them and cut again. I then put in an eyelet (I have from my card making crafts), and then used a 1/8 inch ribbon. I think I will make(?) or buy tassels, that is a nice touch. As we all know Christmas is coming and its time to wish Merry Christmas to all your family members, friends, and your lover.Wish them Merry Christmas these Merry christmas wishes 2017. Hope you have a great day in 2018. and if you want send amazing wishes to your family .check this link. It works with iphone 10 without your gadget require a jailbreak. tweakboxx Application Store Apps: Get paid App Store applications absolutely free. hi thanks for great information but here you can get for your PC or Laptop Avast License Code free of cost. first of all you post is great about fun photos bookmarking anyway here you can download IDM Serial Key for activation of IDM. Your subject is great and every one must give attention to the kids for this type of fun activities. This is very essential for their mental growth and knowledge. Nice post. Thanks for this. Windows Loader Outrageous Version – is all inclusive auto activator for windows 7 it very known and prevalent activator. It appropriate for totally any version or work of Windows Seven. After fruitful enactment you will approach totally to all highlights of Windows dispose of terrible and irritating dark foundation on the work area and irritating helps,windows 7 loader free download full version to remember permitting when windows begins. Subsequent to actuating your Windows 7 will pass any keep an eye on the genuineness and separately will download official updates from Microsoft. fun photo is a very good game and converting string number float. We have made this application software, keep reading this article and download windows 10 activator. This is fantastic site. crackshub.com The ideas of the author was awesome, thanks for the share. The applications and also video games that have been deleted visit this site Unlike Google Play Store, Aptoide Apk/ Aptoide iphone allows customers. Great time to play such game. I have to to add one more thing in it, great photos. i am happy reading your article. However wanna statement on few common things, The website taste is wonderful, the articles. windows 8.1 product key generator It was a wonderful chance to visit this kind of site. Much obliged for giving people surprisingly wonderful opportunity to peruse in detail from this site. It is typically so agreeable in addition to brimming with diversion for me by and by and my office associates to visit the blog at least thrice week after week to discover the most recent direction you have. Obviously, I am simply constantly mollified considering the striking standards you serve. Chosen 3 hints in this post are unmistakably the easiest I've at any point had. surprisingly wonderful cracks are found. https://crackwallet.com/lumion-pro-full-crack/ It was nice to be able to visit such a beautiful blog.Thanks to the author.This is fantastic site.I enjoyed reading your articles. This is truly a great read for me. Hello, this is nice page, keep sharing and reading about windows 10 activator. have a good post thanks for sharing. Wow this looks really awesome! AVG PC Tuneup 2017 Crack Full Version Keygen runs persistently from sight, and overhaul constantly how you accept to boost your computer constantly running at top speed. Wawo so cute thanks for the great article. Wonderful! Excellent post. I will certainly come back to read more of the articles about food. We love to try new receipts and new food, not only our native! i feel very happy after read this post. apk crack software enjoy with your family.